Auxiliaries make an invaluable contribution to the RCH. To recognise the support of members dedicated to helping the hospital, the Auxiliaries Executive Committee supports three award programs. Established in 1994, the Madge Tate Service Award is the highest honour an Auxiliaries member can receive, recognising extraordinary service to the hospital. The award is named after the late Madge Tate who was a member of Croydon Auxiliary from 1932 until her passing in 1992. The award is a means of recognising dedicated and extraordinary service to the Auxiliaries. For many of those years, Mrs Tate served as either President or Secretary of the Croydon Auxiliary, overcoming obstacles of distance, family commitments and at times, ill-health to make an outstanding 60-year contribution to the RCH. 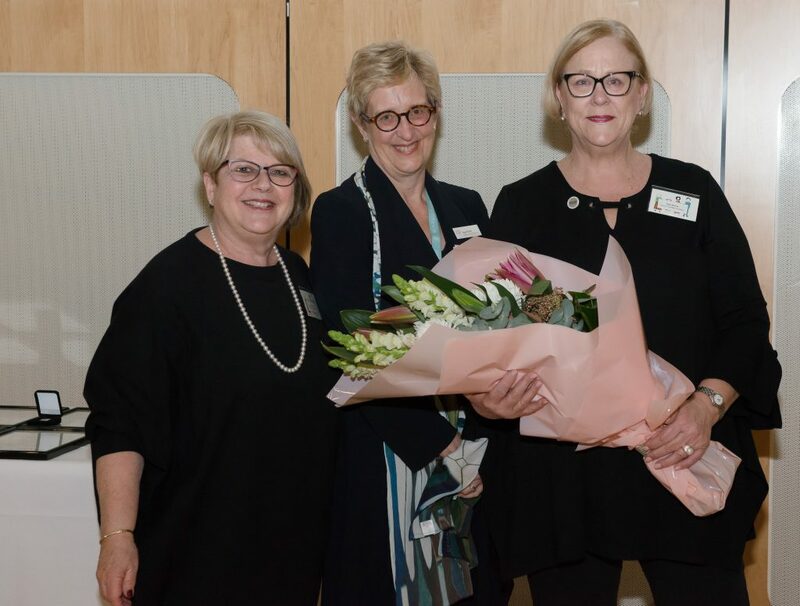 Bev Noonan was the winner of the 2017 Madge Tate Service Award, receiving the honour at a surprise ceremony prior to the RCH Auxiliaries AGM in August 2017. 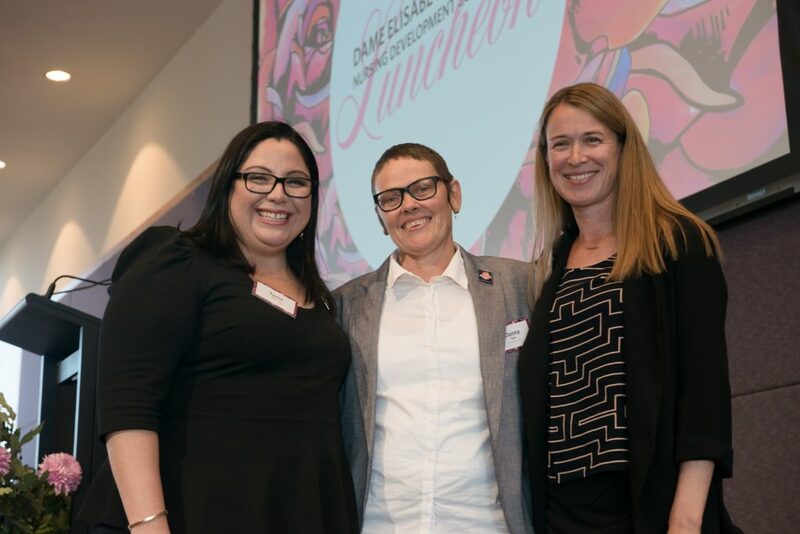 Nominations for the 2018 Madge Tate Award are now open. To nominate an Auxiliary member, please complete this form. View the stories of all our Madge Tate Service Award winners (PDF). 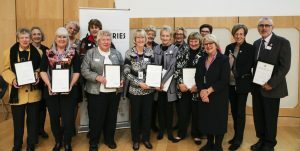 The RCH Auxiliaries honour outstanding members with the annual Living Treasures Award. This award recognises the exceptional contribution of diverse Auxiliary members who have demonstrated excellence, leadership and commitment in fundraising for the hospital. The Living Treasures Award was officially launched in 2004 to honour Auxiliary members who have gone above and beyond in their quest to support sick children and the work of the RCH Auxiliaries. Nominations for the 2018 Living Treasures Award are now open. To nominate an Auxiliary member, please complete this form. View a full list of Auxiliaries Living Treasures (PDF). Long Service Awards are given to members in five year increments, with Auxiliary members receiving their first award after five years of service. These awards celebrate the longstanding and dedicated support of Auxiliary members. View the full list of current long service award holders (PDF). Dame Elisabeth Murdoch AC DBE was closely associated with The Royal Children’s Hospital (RCH) and the Auxiliaries, supporting many important projects that have helped shape this great children’s hospital. 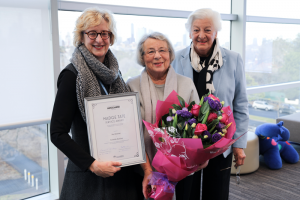 In giving her name in perpetuity to the prestigious Dame Elisabeth Murdoch Nursing Development Scholarship, her remarkable legacy carries on through the advancement of nursing at the RCH. This $50,000 scholarship is provided for each year by a fun-filled fundraising luncheon on International Nurses Day.